Galaxy wheels have a 1″ arbor hole. To use on other size arbors order telescoping bushings. 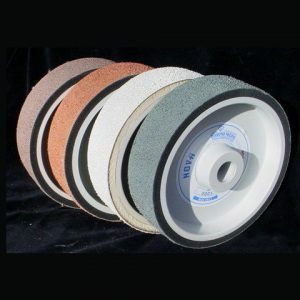 Galaxy diamond grinding wheels give you the fast, cool cutting efficiency of diamonds, plus a smooth, true-running surface that never needs dressing. Quality construction, made in the U.S.A. by Diamond Pacific.The diamonds are held on a heavy steel ring by an extremely hard, nickel alloy plating for durability. The ring is mounted on a tough glass-filled polyester core, making Galaxies a smooth, quiet running wheel. Must be used with water. 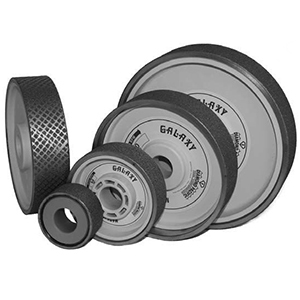 Galaxy wheels have 1″ arbor holes. To use on other size arbors order telescoping bushings.